The My Take-Along Tablet: ABCs for ages 4+ helps children master the alphabet through tracing, writing, and coloring. 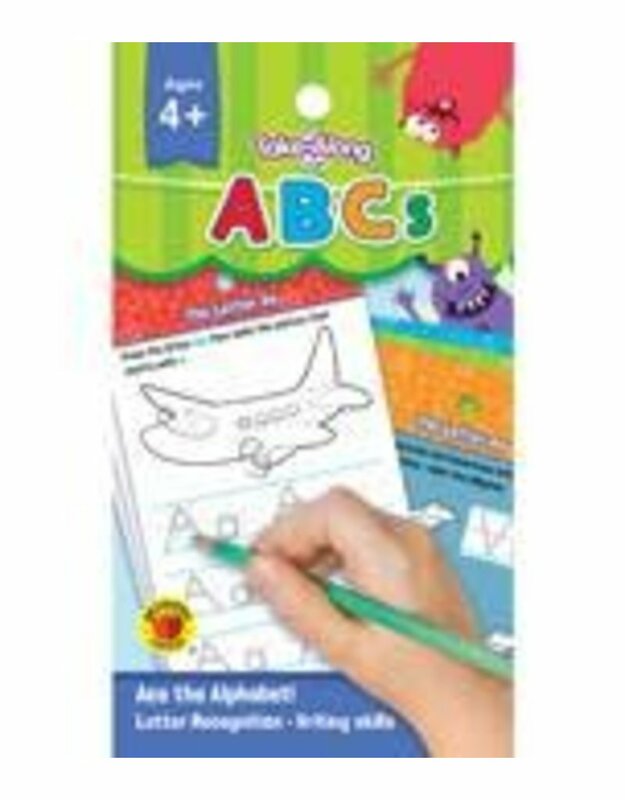 This early learning education resource also provides children with engaging letter-specific activities and review pages. Learning the alphabet can be done anywhere with My Take-Along Tablet: ABCs! Filled with fun ways to learn, this Brighter Child(R) activity book supports the development of essential skills with games, coloring, tracing, and more. My Take-Along Tablet: ABCs helps children build the early reading skills that are necessary for success! Searching for an early learning education resource to entertain and educate? From early math and language arts to mazes and doodles, My Take-Along Tablets help children improve a variety of skills in engaging ways. These Brighter Child(R) activity books are filled with colorful pages and captivating activities to keep kids focused while they develop fundamental skills.